From Instagram sensation Kristina Webb (@colour_me_creative) comes a completely original and unique book to inspire and unlock your creativity. 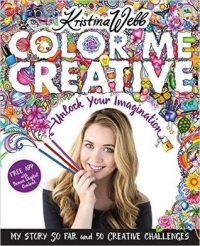 Color Me Creative gives readers a firsthand look into Kristina's personal life, including her exotic upbringing and the inspirational story of how, at nineteen years old, she has become one of the most popular artists of her generation, with a following in the millions. 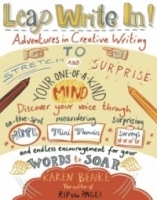 Readers can then go on their own journey by completing the fifty creative, art-inspired challenges designed by Kristina herself. This is the perfect gift not only for artists but for anyone wanting to awaken their inner creative. Featuring Kristina's beautiful custom art throughout, Color Me Creative will help readers escape the ordinary and unlock their imagination. This book offers readers the chance to download the free Unbound app to access interactive features and bonus videos by scanning the customized icon that appears throughout the book, including never-before-seen home videos and videos of Kristina drawing.